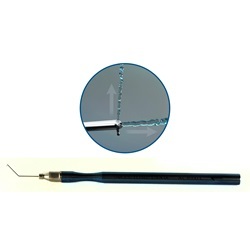 Designed in conjunction with Eric D. Donnenfeld, M.D., specifically for the placement of Toric IOLs. 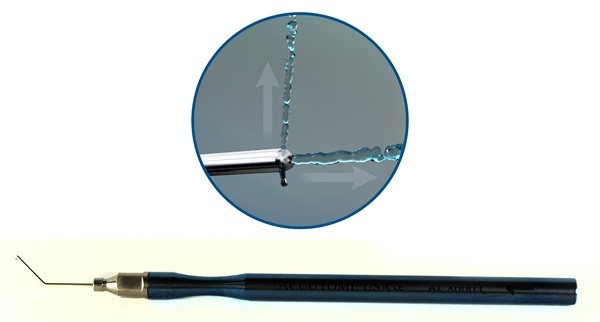 The stainless steel Donnenfeld Irrigating Hook is 23 gauge and has two irrigating ports that are positioned at the tip of the instrument, which open the capsular bag allowing the surgeon to rotate the Toric IOL. The hook on the bottom of the instrument gently grabs the haptic for rotation.